On Friday the 11th of January, President Kim Ho-sung (김호성), the CEO of REALIES Pictures, very kindly agreed to have an interview. The young production company has been behind some impressive hit films, including box office smash Masquerade (광해, 왕이 된 남자) and romantic comedy 200 Pounds Beauty (미녀는 괴로워). For a profile of the company, please click here. Question: 2012 was an incredible year for REALIES Pictures, with Masquerade (광해, 왕이 된 남자) performing exceptionally well. What were the highlights of the year for you? President Kim: Well, so many things happened last year. We started production (on Masquerade) last February, and then we had almost five months of production, and then three months of post-production. Then we released the movie in the middle of September. We had success at the box office and we won a lot of awards at the Korean Film Academy, the Daejong Awards, but that doesn’t really matter to me. Actually the highlight was the production I guess. We had a really great time with the actors, and the crew, and the director, and all the staff we worked with. So that was my highlight. We really really had the same kind of feeling when we finished the shoot. We were satisfied with the scenes and we talked with the director, “this is good, this is bad,” then if we try one more time then that’s the whole production process. It’s really good. I have made 5 or 6 movies before and this was the first experience to have that kind of feeling in the production process. I can say this is my highlight of the year. Getting the awards and people watching the movie is the result, because of our highlight. Question: What about the London Korean Film Festival? Masquerade finished the festival in quite spectacular fashion. What did you think about that? President Kim: Yeah we went there, we were invited as the closing movie of the film festival. We were surprised because so many people were there and they already knew about our movie. And another additional thing is that so many movie stars like Bruce Willis, Helen Mirren, John Malcovich and additionally the great producer Lorenzo di Bonaventura were there. They enjoyed the movie just like a normal audience, and they approached me and cheered me up saying, “you did a good job!” So I was so happy about that, so I had a lot of conversations with the ‘big cheese’. And fortunately di Bonaventura talked to me and said, if you have a good project we can work together sometime. So that’s my prize. So it was really good, we had a really good time with the director and actors. Byeong-heon Lee was there too, and Ryoo Seung-ryeong was there. And a Lady invited us to her house. Actually she was Lady Rothermere, the wife of Lord Rothermere, and we had a really good time at her house. Personally it was a really happy time. And at the same time, the audience really enjoyed the movie. And they understand Korean culture quite well. I was surprised because there were so many foreign members of the audience there. I expected about 90% of the audience to be Korean, or Japanese, but I think half of the audience were foreigners, so that was a shock to me. Question: You mentioned the Daejong Awards. Masquerade was incredible, it had the distinction of winning 15 awards. Every category it was nominated for, it won. Congratulations. However, some critics felt this was controversial. What are your feelings about the ceremony? President Kim: Yes, err, that’s not my problem. 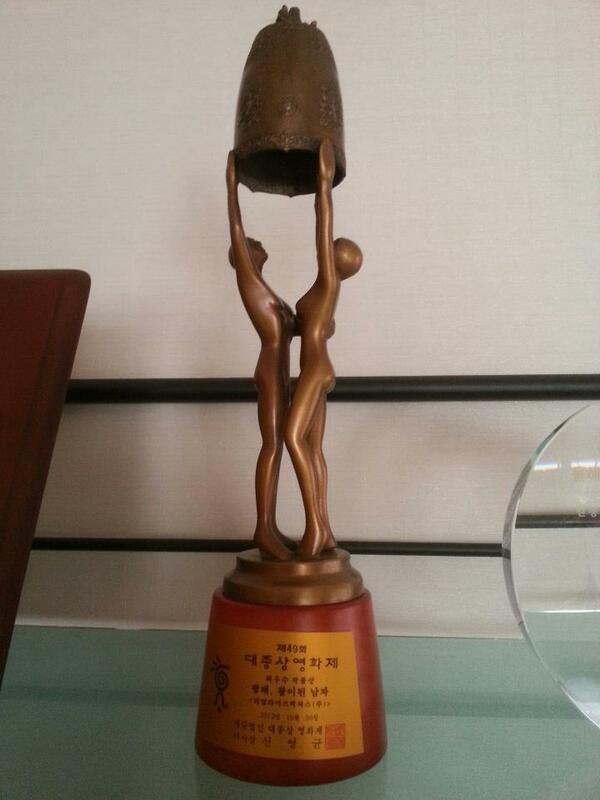 That’s the Daejong Award’s problem, because they changed their politics. Before, they gave their awards by if one movie has got a lot of awards, they only give half of them, and give the other half to another movie. Make them equal, kind of thing. The critics always said, “that’s not a true award.” If one good movie is there, then all the awards should be for them, just like the Academy Awards where some movies won 12 awards, there are so many movies like that. So they changed their selection process, and their committee people, and included normal people, and then they voted. They concealed it, and then at the last minute they opened it and gave the award. They changed it. And it all went to Masquerade, and we won 15 awards. So the critics changed to the opposite of last year, complaining “How can one movie get 15 awards?” So I don’t understand, they changed their policy but unfortunately for them we won everything and that was the problem. Critics are always critics. Something happens, and they always talk about it. So I don’t care about that. So I’m watching next year to see what happens, are they going to change their policy or keep doing it like this past year? But after that, there was another Korean awards ceremony, the Blue Dragon Awards, and we won only one because of the Daejong Awards. That’s ridiculous. Movies are movies. Just like the Golden Globes and the Academy Awards, if a movie is given a lot of wards in the Golden Globes then there’s a possibility it’ll get one in the Academy Awards. I don’t get it. Question: I’d like to talk about your past, if that’s ok. You studied at Hanyang University. When you were studying there, where did you develop your passion for movies? How did you develop it? President Kim: Actually it goes back to my middle school years. It’s kind of a personal secret, but I can tell it now. One day I found an envelope in my mother’s box. So I found it and opened it, and I read it, and it was from my father. It was from the time they were dating. It was a kind of movie review, not a love letter. My father saw a movie and got an impression and wrote a letter to my mom. It was The Sound of Music. There were 16 pages of letters. So he wrote the entire story from beginning to end. I read the letters and I realized I wanted to see the movie. It was around the end of the 1960s. And 15 years later I saw the movie, finally! When I read the letters, the young me wanted to see the movie, and then I guess from that moment in my mind, movies were there. In Korea, there is a very tough exam system for entering university. I wasn’t a very academic guy, just a normal guy, and my test results were not really good. There are a few schools I could get into and I went there fortunately. After that, the seed in my mind grew. Question: So then you went to Hanyang University. Did you start script writing? Directing? President Kim: No, I studied dramas and plays. I did all the crew jobs, floor director and that kind of thing. Finally in the last year of my school days I translated two scripts. One was Hedda Gabbler by Henrik Ibsen. It’s a feminist play. And the other was The Green Bay Tree. That’s a British play, it’s a gay drama. It was very radical compared to Korean culture. Gay stories were very rare. I was too advanced. So I translated two plays and I produced the plays and put them on stage. After that I quit that kind of thing because they weren’t successful. So I lost interest. So I moved into the advertising industry. Question: How long did you work in advertising? President Kim: More than 15 years. Question: What experiences did you learn through advertising? President Kim: Many. That’s where I learned the basic concepts as a producer from that period. Fortunately I joined a foreign advertising agency called McCann-Erickson. 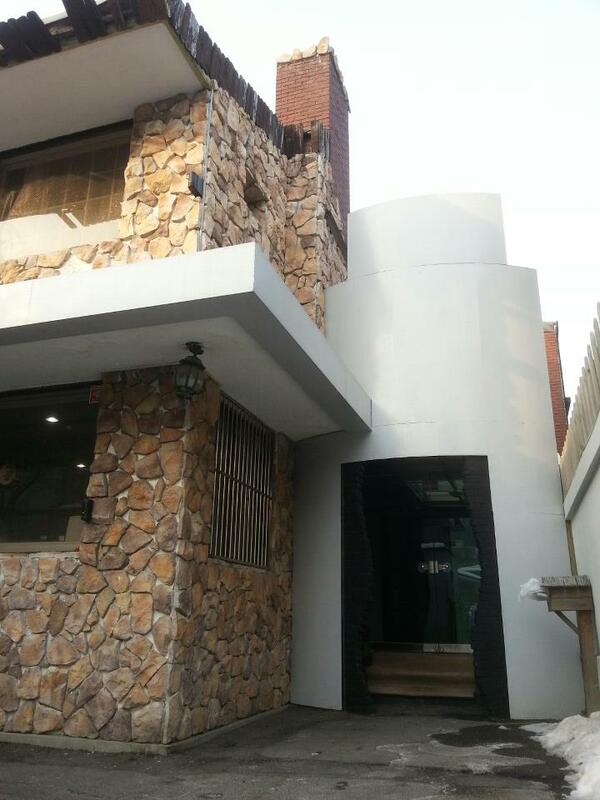 That was the first foreign advertising agency in Korea. That year, 1991, the Korean government opened the advertising market to foreign agencies, and that was the first foreign agency to come to Korea. Because I could speak a little English, I could fortunately join the company and I worked as a producer there for 6 years. I produced some really good and interesting productions and everybody was jealous of them, because my products were really good like Coca-cola, Levis, Nike and Nestle. There were so many good products that I produced TV commercials for because in Korea there was only one foreign agency, and all the good products came to that agency. We were the agents for all those companies. I handled all the good products, and did more than 20 commercials a year. That was good experience for me. I learned all the basic skills and concepts as a producer, it was so lucky for me. Question: You produced so many advertisements over those years. How did you move from advertising into movies? President Kim: I really enjoyed my time, for 10 years, doing TV commercials. But then suddenly I felt sick and tired of it. Not because it was boring, but because they were not mine. I put in all my effort and worked really hard. My wife calls this the lost 10 years between a husband a wife. I always went home around 2 am, stuff like that. I devoted myself into that area. I went to the Cannes Advertising Festival and we won awards but I didn’t go up the stage – my client went up the stage. It wasn’t mine. It’s true, because all the advertisements were for the clients, it’s theirs. I was just a serviceman. So there was no credit. I’m not disappointed about getting awards, they’re nothing, just that it wasn’t mine. Yeah I can earn money for living, that’s ok. But I’m a creator, so I wanted to do something myself, something that’s mine and that I can put my name on. Because of that I changed my mind and produced a movie. Luckily at the time I had a good script, and I had an investor because I worked really hard as a TV commercial producer. Some people wanted a new approach with a TV commercial producer, with special effects and everything. That was lucky for me. 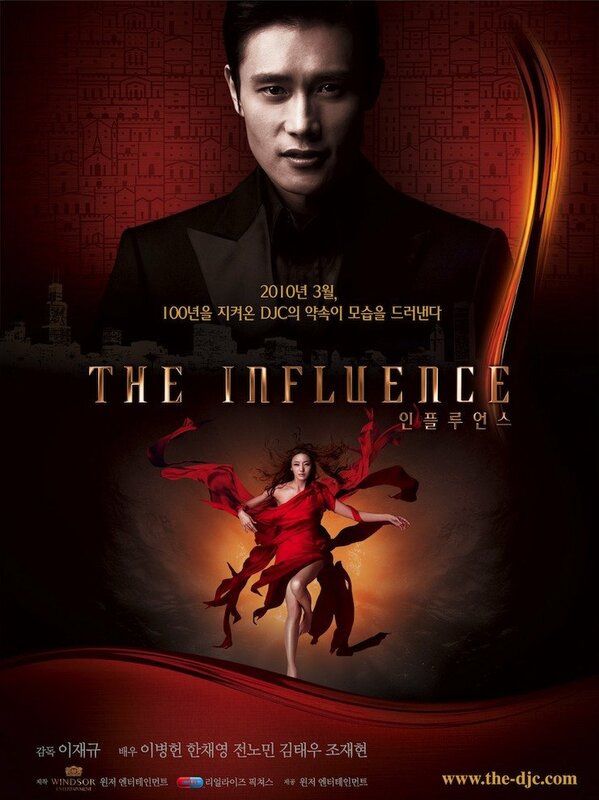 So I produced one movie while I worked at Seon-woo Productions the biggest TV commercial company in Korea. So I actually begged the president to do this movie and he accepted it because I worked very hard, it was my reward. 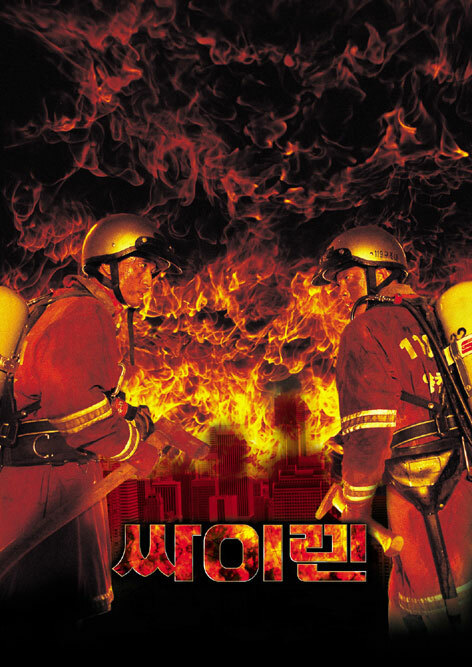 So I produced the movie Siren (싸이렌), it was my first movie. It was very lucky. But it ended up that we were ruined. I was ruined. It had a bad box office result. Because of that movie I learned so many things. It’s a totally different approach to TV commercials. TV commercials are like a 100 meter race, but movies are like a marathon. We need different muscles. I realized that. That was the first time I experienced failure in 15 years. After quitting the plays and working in advertising, developing myself to be successful, this was the first experience of failure in my life. Question: Then after Siren did you decided to create REALIES Pictures? President Kim: No, I went back to TV commercials. I built my own production company called Ink Spot. 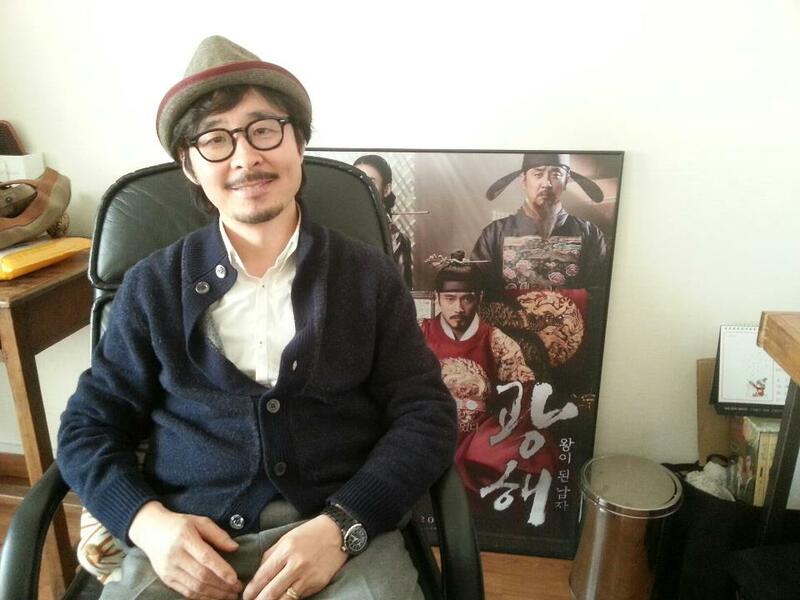 I worked with director Park Kwang-hyeon (박광현) who directed Welcome to Dongmakgol (웰컴 투 동막골). He was also a TV commercial producer for a foreign advertising agency. He had the same kind of mind as me, so I asked him to join me and we worked together and we built the company together. We did a lot of good commercials together. That was in 2002, 10 years ago. We did a really good TV commercial, we won so many awards. As we are both from advertising we understood each other – he wanted to direct a movie and I wanted to produce a movie. So we developed a lot of stories. One of them was Welcome to Dongmakgol. He picked up the story from a play. We developed the story together, then I rented director Park to producer Jang Jin (장진), who is like a genius, and it was successful. And then when director Park came back we tried to produce and direct another movie but things changed. He was a big director, I was just a TV commercial company president. The industry needs just directors, not producers like me because there are so many. So we separated. I was desperate at the time, so I really thought about what I was going to do next. I wasn’t interested in producing TV commercials anymore. I made a phone call to Mr. Won Dong-yeon (원동연) because I hired him as a producer of the movie Siren and after that failure he kept doing his movie business and made two movies, and I went back to TV commercials. 5 years later, in 2006, I called Mr. Won and told him what I wanted and he accepted me and said let’s do it together again. At the time he was developing the movie 200 Pound Beauty (미녀는 괴로워). So I joined that production. Question: So in 2006 you joined together and you created REALIES Pictures. Then 200 Pounds Beauty was released and it achieved almost 7 million admissions. How did such success affect the company? Did it give you any new experiences? President Kim: Yes. Because we had a big failure 7 years before with Sirens, we both grew up and got a better understanding of the industry and stories, producers, directors, actors, everything. Mr. Won and I always tried to do better, to understand better. We tried really hard. When I did the first movie Siren, I didn’t understand people, it wasn’t my concern. Just as a producer I gave people money to do something, and they did it, that was the attitude. A TV commercial attitude. But I totally changed. I tried to understand my crew, I tried to understand my director. That was the huge differentiation between the two movies. I realized that making and producing a movie is not manufacturing something, it’s understanding people and the story. That is the first step in producing a movie. Question: Did you always think 200 Pounds Beauty would be successful? Question: In 2008 you released Marine Boy (마린보이), which was similar to a Hollywood blockbuster with a story involving drug trafficking and ambitious action sequences. Yet for some reason the film didn’t resonate strongly with audiences. Why do you think this was? President Kim: I can say that it was too advanced, I guess. I think Marine Boy is a well made movie, the picture is good, everything is good, but story-wise it’s different from Korean movies. The Korean audience wants to have an emotional achievement when they watch a movie. This movie is so cool, like a Hollywood movie. So they were not moved. They were not touched. “It’s a cool movie, but I don’t like it” – that kind of attitude. I was too advanced. I wanted to make a Hollywood movie after 200 Pounds Beauty, so I learned another thing. Producing movies, I always learn something. A big success or big failure doesn’t matter, I always learn something. Question: After that, in 2010, your next production was The Influence. The film is really interesting as it blends a variety of genres and is visually stunning. How did REALIES Pictures become involved in the project? President Kim: I already mentioned about my resume, doing advertisements. I always did that kind of thing. I was sick and tired of making 15 second TV commercials, they always push that the product is really good with exaggerations and stuff like that. Throughout my years, my attitude for treating that kind of advertisement changed. In 2006 when I created Ink Spot, during that period my TV commercials totally changed. I put some story and emotional things into the commercial. Before that period I always tried to make them look good, just very visually good. I wondered how to touch the people, and I developed. I had an article from a magazine, and there’s a good reference to something BMW did called Hero. They hired 8 good directors and they made short stories, focused on BMW driving, it was really good. So I got a hint from that. I suggested it to an agency and a client. The product was Windsor Whiskey, a Scotch whisky from Diageo. It was really hard to put something like that in advertising because there are so many restrictions. All they can do is a billboard. They wanted to contact people from different areas and use the internet. So we made the product into a story. This is the first time we tried it, and we called it ‘branded entertainment.’ So we made 20 minutes – 4 stories – into a series, with director Lee Jae-gyoo (이재규). We worked together. And Lee Byeong-heon was there as a model for the commercial, and we used him holding a whiskey cup and he was very vivid and lively. 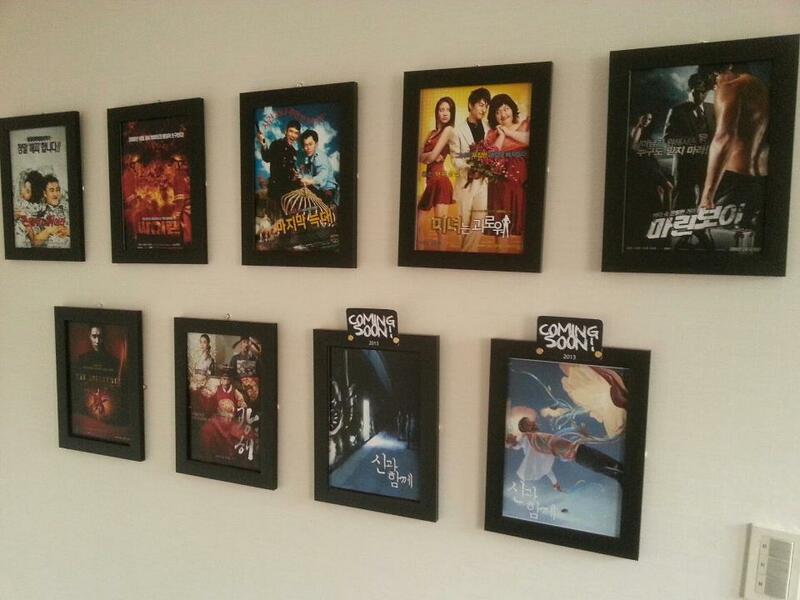 From now, we produce a movie at the same time as doing branded entertainment. I planned and developed the iphone 4 film festival, that was the same level of branded entertainment. I suggested it to KT when the iphone 4 was newly launched in Korea so we had to make brand awareness. So I said let’s make a movie with iphone 4. I had a good director and cinematographer. We hired 5 directors and 5 cinematographers and they made 5 6 minute short films We put it in the Busan Film Festival. There’s a section for the iphone film festival. So that’s also branded entertainment, just a different form. Question: Bringing us back to the present, your next production is going to be Along With the Gods: A Visit From A Stranger (신과함께: 낯선이의방문). Can you tell us about the movie? President Kim: Yes, it’s a movie about the afterlife. 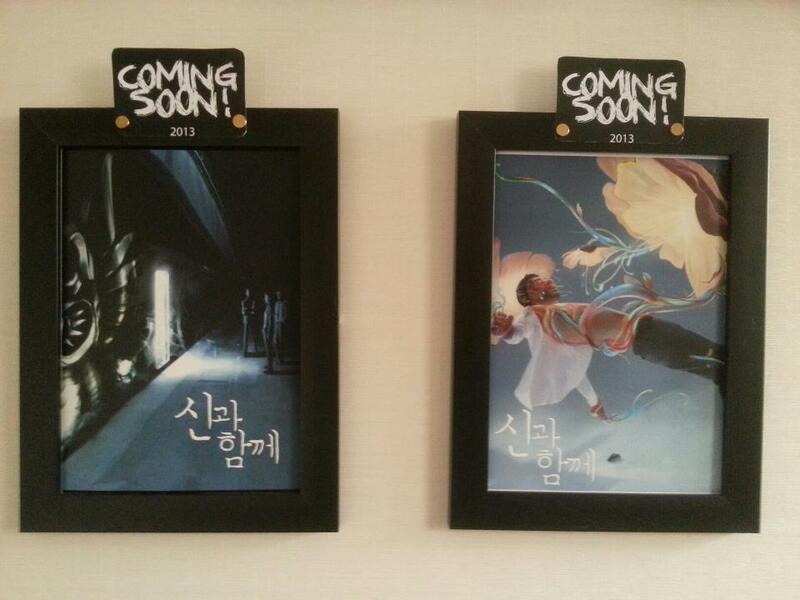 I picked it up from the webtoon, it was a really big success 2 years ago. It has 3 different stories. There is Heaven and Hell, Earth, and mythology – 3 parts. So we contacted the writer and bought the copyright to make a movie. The reviews were really good, people really loved the story. The story is about a man after he died. Heaven and Hell are just like the normal world, there is a ‘Hellbucks’, just like Starbucks, there’s a coffee shop and a court. The man who died goes to the afterlife and he meets a guy who is holding a panel with his name on it. The man asks, “who are you?” and the reply is, “your lawyer.” That is the start of the movie. What? Is there a lawyer in Heaven? That concept is really cute and amazing, so I picked up the story. It’s the journey of a man who died, for 49 days. You know in Korea, in the traditional funeral ritual people always do 49 days of praying for the person who died. The relatives who live in the real world are praying for the dead person to go to a good place. That period of 49 days is the dead man’s journey, and his life is judged in all areas. Being a dad, stealing, violence, these things are judged from what he did in the real world. But he also has a lawyer, it’s a really interesting concept in the story. It’s going to be very fun. Question: When will it be released? President Kim: I guess we are aiming for a release around July 2014. It’s going to be a huge production. I would like to sincerely thank President Kim for taking time out from his busy schedule to conduct the interview.